Today on Rekaystyle, I will introduce a knit look that brings in the fall atmosphere. It is a style that I’ve been dying to wear when it becomes fall. 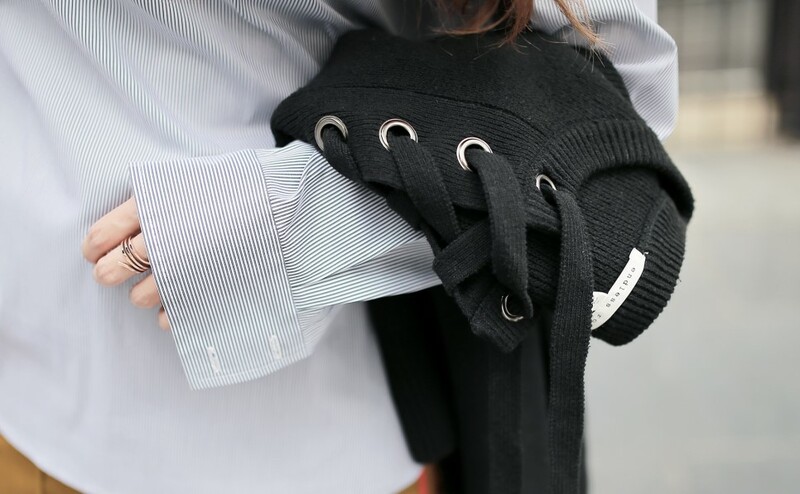 It is stripe shirt matched with a knit that definitely reminds us of all and wide pants with an accessory of soft velvet touch. It is a real fall daily look that is armed with items that symbolize fall. With casual and basic items with the addition of color accent, a more stylish coordination has been completed. I will introduce a true jewel that Rekay found on Revolve. It is a knit top that is stylish when simply draped over the shoulder or even pulled over without much thought. It is a product from the brand, ENDLESS ROSE. The high quality, strong and thick knitting is a design that livens the body shape. The rounded shoulder shape and the widely designed sleeve line is very trendy. The chunky metal eyelet that connects the lace up string is also a point that catches my eye since it is very feminine and cute. It can be also become formal when matched with a shirt. A layering bright shirt look that emphasizes the deep color of the knit is completed! The shirt is from a PB Brand, YEOYOO, from Shinsegae international shopping in Korea. It is a basic open neck shirt style that can easily be worn with anything. The shirt is very cost effective considering its smooth material and neat completion. 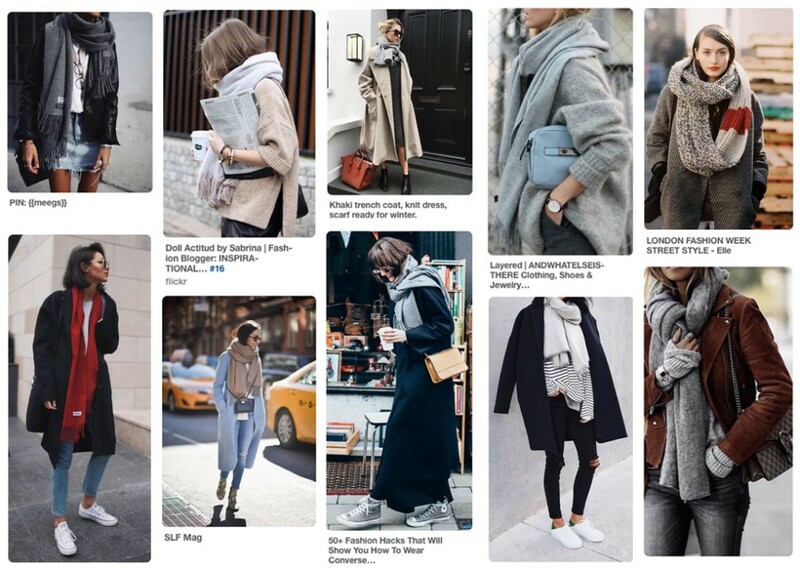 Above all, it is the best style to layer with different items like knit tops or vest and even dungaree dresses. Gucci’s Marmont Bag that has started Rekay’s 2016 F/W season together. 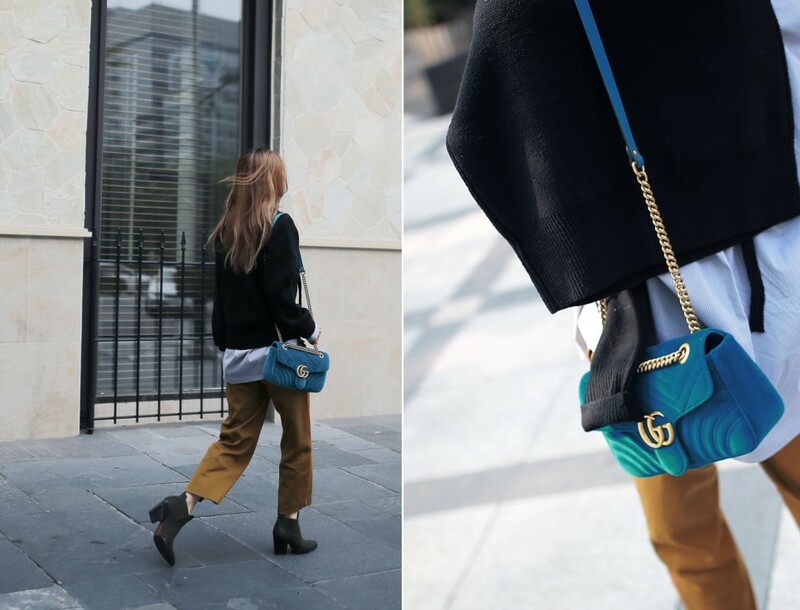 It is already the season’s it bag that is in extreme popularity in the market! The vivid color and the strong GG logo, as well as the intricate quilting and lovely cute heart stitch at back. It is beyond simply affection but absorbs us like a black hole. In addition, Rekay has chosen velvet[HERE] that can be said to be the climax of season bags. With the soft touch as well as the special color of velvet. There is a vintage and retro mood to it that makes me like it even more. 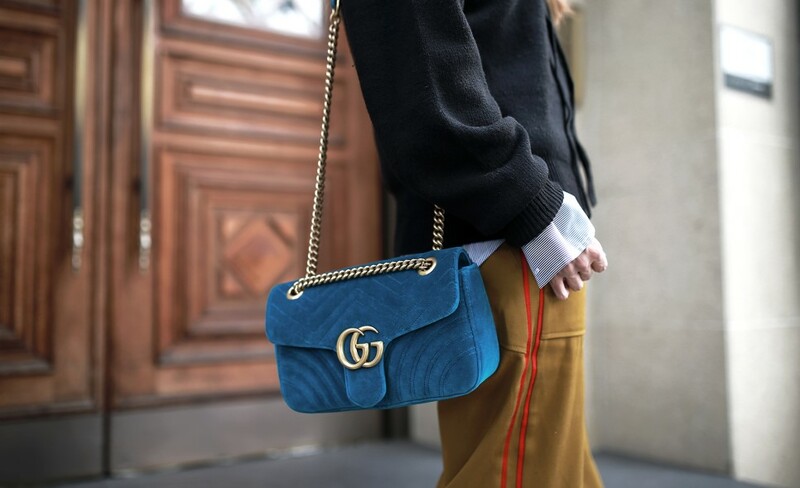 With the bright color, I thought that it would be difficult to coordinate however the product itself has a lot of strong character that it even seems like it would be better if the clothes do not go well with the bag itself. The velvet version is not yet in stock in Korea. Instead, I bought it through overseas direct purchase on Luisaviaroma through pre-order. It seems that velvet is pretty scarce considering that it continues to say waiting. It is said that it will be back in stock on September 30th. All colors of the leather version will also be open for sale on September 30th as well, so it would be best to wait. Zara pants with an attractive deep mustard color and red stripe sideline. It has a military mood yet is sporty and minimal. Overall, I have worn it frequently recently since I am enjoying the fall colors. It goes well with black, cream, or white. I think it would also look great with vintage stripes or denim shirts. The pants go pretty well with any top. If you are sick with your regular jeans or black pants, they are great color pants for a change. The material is not even too thin and is thick, it covers your body line and drops as a wide fit that does not give you any pressure. Remember my last look when I matched it with a black top? Check it out [HERE].